A village named Marottichal in India is addicted to chess after one man taught everyone how to play 50 years ago to stop excessive alcohol use and gambling which has now all declined to almost nothing. 2. A Japanese village named Fudei was spared being destroyed during the 2011 tsunami by its huge seawall - a wall that its previous mayor had been harshly criticized for building. 3. There is a secured village named Hogewey in the Netherlands specifically for people with dementia, where they can act out a normal life while being monitored and assisted by caretakers in disguise. 4. Oberammergau is a German village that vowed to put on a passion play every 10 years if they were spared from bubonic plague. They were, and have put on this play since the 1600s, with the next being in 2020. 5. There is an Indian village named Piplantri which celebrates the birth of each girl by planting 111 trees. 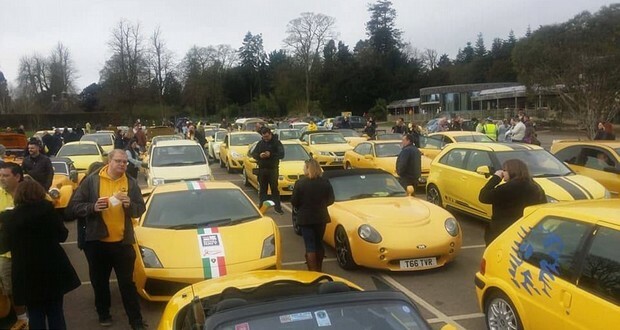 After tourists to a Cotswold village of England complained about a parked yellow car "ruining their picture-perfect photos", and even vandalizing the said car, hundreds of drivers across the country took their own yellow cars down to the village in defiance. 7. Eyam is a small Northern English village of 350 inhabitants who in 1665 when the plague arrived chose to isolate themselves rather than let the infection spread. 83 survived but their decision stopped further infection in the region. 8. In 1861, the hamlet of Town Line, in the Town of Lancaster in New York voted to secede and join the Confederates, sending 5 soldiers to fight. They didn't officially rejoin the Union until 1946. 9. In Biertan village in Transylvania Romania, the church had a "divorce/reconciliation room": Couples that wanted to break up had to live two weeks in a room with one small bed, one table with one chair, one spoon, one plate. In 300 years they had just one divorce. 10. The village of Monowi in the USA has a population of 1 and the only resident runs a 5000-volume library and a tavern that draws regular customers from as far as 80 miles away. The village of Huangfeng in China publishes the names of those who neglect their elderly parents as a means of shaming those people. 12. The Austrian village of "F*cking" is particularly popular with British tourists. A local tour guide said: "The Germans all want to see Mozart's house in Salzburg; the Americans want to see where The Sound of Music was filmed...but for the British, it's all about F*cking." 13. There is a small village named Shingo in Japan, which by its inhabitants is believed to be the last resting place of Jesus. They believe that instead of Jesus his brother Isukiri died on the cross and Jesus fled to Japan to become a rice farmer. 14. A small Armenian village named Chardakhli sent 1250 able-bodied men to fight in World War 2. 853 of them received orders and medals, 2 became Grand Marshals of the Soviet Union, 12 became generals and 7 became Heroes of the Soviet Union. 15. There is a village named Bazoule in Africa's Burkina Faso where crocodiles and humans have lived side-by-side in peace for over 600 years. There are "cancer villages" in China, where residents are hundreds of times more susceptible to cancer due to pollution. 17. There is a completely uninhabited village named Peace Village in North Korea built solely for propaganda, with dozens of empty buildings. 18. The village of Giethoorn in the Netherlands has no roads. People get around on foot or via one of the village's many canals. 19. There is a village named Paris (Parizh) in Russia. In 2005 they constructed a 1:5 replica of the Eiffel Tower. 20. A village named Naluvedapathy in South India planted over 80,000 mangrove trees to get a world record and the trees later protected the village from a flood. 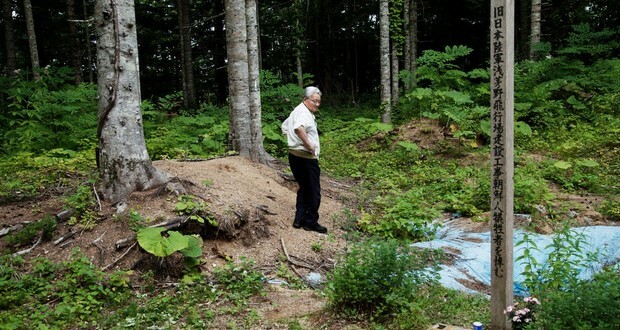 In 2014, a small Japanese village named Sarufutsu tried to set up a monument to remember World War 2 Korean slaves that died in the region but were forced to stop by Japanese ultranationalists. These ultra-nationalists have also been successful in the removal of other monuments of contrition around Japan. 22. A traditional West African voodoo village named Oyotunji was founded near Savannah, Georgia in 1970. They have a king, no electricity or water, no English before noon, drink chicken blood and consider themselves a separate nation from the United States. 23. There is an English village named Bourton-on-the-Water which has a scale model of itself, inside a scale model of itself, inside a scale model of itself, inside a scale model of itself. 24. There once was a village named Resia in Italy. They flooded the area and the only thing left visible is the village's bell tower. It is now known as Lago di Resia. 25. The village of Badbea in Scotland was so windy children and animals had to be tied to posts or rocks to stop them being blown away.